I started podcasting a few months ago. 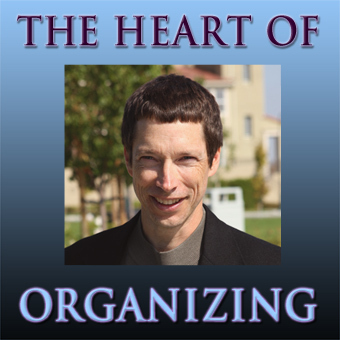 The blog will start out parallel to The Heart of Organizing podcast (each blog entry will be the transcript of a corresponding podcast). The two will eventually diverge as I learn how to make use of the specific features of each forum. If you’re able to, I highly recommend listening to the podcast. It has great information, is easy to listen to, has great music, and you can listen to it while doing other things.